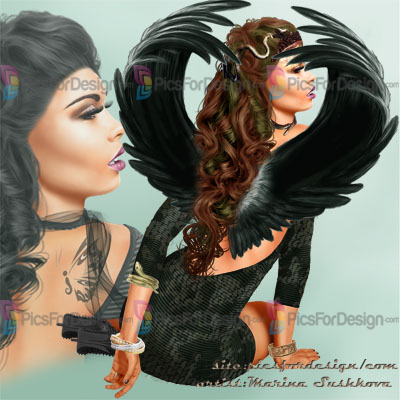 Dark_Angel - Illustration store PicsForDesign.com. PSP tubes, PSD illustrations, Vector illustrations. Girl, long hair, wing angel, face ornamtnt, hats, sharf.